What They Say.....From the author of Maybe in Another Life—named a PeopleMagazine pick and a "Best Book of the Summer" by Glamour and USA TODAY—comes a breathtaking new love story about a woman unexpectedly forced to choose between the husband she has long thought dead and the fiancé who has finally brought her back to life. 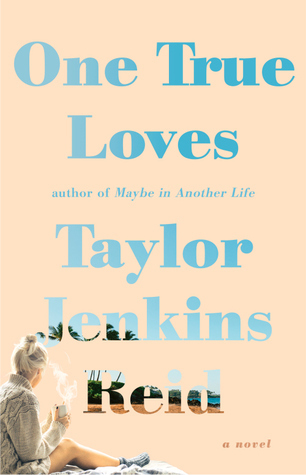 What I Say.....I've loved every Taylor Jenkins Reid book that's I've read. Starting with Maybe In Another Life, I became a fan. So when a copy of this came in my Summer Reading Challenge box, it was the first took I grabbed. I spent yesterday with my nose buried in it, while I vacuumed with one hand, propped up while I did dishes, and then floating in the pool - which was convenient because as I cried, I could just pretend it was pool water not tears. And since I was doing a full on ugly cry, I was happy for the cover. Emma has carved her life out to be exactly what she wanted, complete with her high school crush now turned husband. But when he is missing, presumed dead, her entire life changes. That is really the message of the whole book, that as life happens, we change. And as you change, your ability to love changes. The story is really about Emma and since we get to follow her from around age 14 to mid 30's, we really got to see her character development and her journey and it's written with a lot of authenticity. It rings true. I think that's what made me cry the most. I don't want to give any spoilers because I want everyone to read this book so we can discuss it endlessly and you can tell me if you think she makes the right choice. I'm still torn.